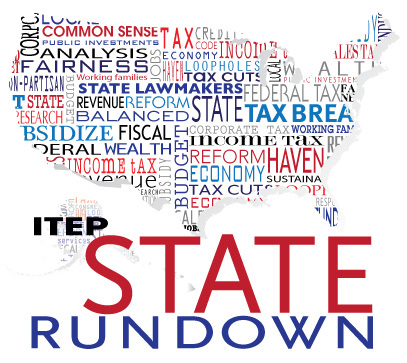 Although most state legislatures are out of session during the summer, the pursuit of better fiscal policy has no “off-season.” Here at ITEP, we’ve been revamping the State Rundown to bring you your favorite summary of state budget and tax news in the new-and-improved format you see here. Meanwhile, leaders in Massachusetts and New Jersey have been hard at work in recent weeks and are already looking ahead their next round of budget and tax debates. Lawmakers in many states are using their summer break to prepare for next year’s discussions over how to implement online sales tax legislation. And ballot initiative campaigns are active as well, including in Arizona, Colorado, and Montana. The Pine Tree State’s response to federal conformity remains undecided as Maine lawmakers have punted on when they will return to special session to take up that and funding for upcoming 2018 elections. Opponents of the Invest in Education tax measure—backed by Arizona‘s Chamber of Commerce—are attempting to keep the proposed tax on high-income earners off of the ballot and out of the hands of voters by filing a lawsuit alleging that the initiative contained misleading claims. New Hampshire lawmakers rallied behind but ultimately failed to pass legislation in response to Wayfair that would keep businesses in the Granite State from having to collect sales taxes on behalf of other states. New Mexico lawmakers are studying the issue, waiting for a new governor to propose subsequent legislation. Elsewhere in the country, Indiana will start collecting sales tax from online sales October 1, as will Minnesota. The hometown of Apple (Cupertino, California) has decided to wait until 2020 to allow voters to vote on a head tax like the one defeated in Seattle by Amazon earlier this year. Voters in Colorado won’t get to weigh in on simplifying the state’s personal income tax system. The campaign for the proposed drop to the income tax rate from 4.63% to 4.6% and elimination of additions and credits won’t be turning in the required signatures needed to place it on the ballot. Voters in Kansas City, Missouri will get to vote on a sales tax increase to fund pre-K education programs. The 3/8-cent sales tax increase would raise $30 million annually to assist families. In state sales tax holiday news: Wisconsin is preparing for its first sales tax holiday while several states are offering their traditional “back to school” breaks. Sales tax holidays in Louisiana have been cut for the next seven years, while South Carolina leaders consider ending their holidays and lawmakers in Kansas are pushing for enactment. For general reading on spending trends and state sales tax holidays, check this out, and see our policy brief and blog on the topic as well. Georgia Nathan Deal is unilaterally suspending the state’s four percent tax on jet fuel, which had been proposed during the legislative session but derailed amid drama between lawmakers, Delta Airlines, and the National Rifle Association. An initiative to increase the tobacco tax to fund Medicaid expansion in Montana has qualified for the ballot. Lawmakers in New Mexico are weighing the impacts of legalizing and taxing recreational marijuana in the state. Meanwhile in Nevada, retail cannabis sales and concomitant tax revenues have exceeded expectations yet again. Lawmakers in Wisconsin may be back in session this summer to work out a tax incentive package for Kimberly-Clark. The governor supports the $100 million incentives, but some Republican lawmakers facing re-election are on the fence. Alabama will see another gas tax debate next year, as a bill has already been prepared that would phase in a six-cent increase with an option to raise it another three cents five years later. Nebraska‘s 2019 legislative session could be a big one, as lawmakers will decide what to do with revenue from online sales, whether to make long-promised property tax reforms, and possibly how to implement Medicaid expansion if it is approved by voters in a referendum later this year. CBS reports that five states – Connecticut, Florida, Nevada, New York, and Wyoming – now have worse inequality than the United States did during the gilded age of the 1920s. Explore income trends with the Economic Policy Institute’s new income inequality interactive tool. For articles making sense of the data check out Moneyish and this piece on the top 1% in Colorado. In related news, the middle class is taking a slide down the income mobility ladder. 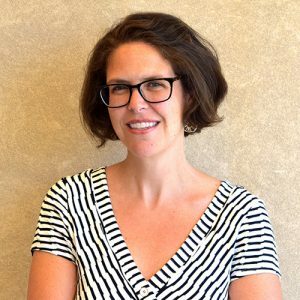 New research shows that Earned Income Tax Credits support child education and employment outcomes and create opportunities for people of color and women. Declining taxation of corporations is a worldwide trend. Pew has a new data visualization tool for illustrating how states raise their tax revenue and a new brief on the downsides of “sin taxes,” which provide a tempting but unreliable source of revenue. Kansas‘ new fiscal year is starting out strong with an improving budget situation thanks to tax reforms enacted in 2017, reports the Kansas Center for Economic Growth.